Ana Stern, Director of Program Operations, and Amber Peterson, Director of Program Innovation, recently returned from Oxford in the United Kingdom, where they attended the World Literacy Summit. Below, the dynamic duo reflect on their experience. As two LitWorld program leads who travel frequently and far to observe LitClubs and LitWorld programs in action, we were thrilled to travel to Oxford, England for the World Literacy Summit this March. It was an amazing opportunity to talk about our programs with an international community of fellow educators and innovators in the field of literacy and truly a privilege to present our work in a city with such an immense academic history and reputation. As we learned about the challenges faced by the many organizations in attendance, we were happy to participate in conversations with them about our approach. In many similar conferences, the intended beneficiaries of programs like ours are often shut out of conversations. With pride, we highlighted the many ways in which we engage our partners in discussion about our programs and the impact they’d like to see, and ensure that they are enrolled in our decision making processes. This approach is echoed in our LitClub programs where the goal is always to empower the child to engage in a conversation about what they want in order to advocate for themselves and their communities. Ana and Amber at the World Literacy Summit. 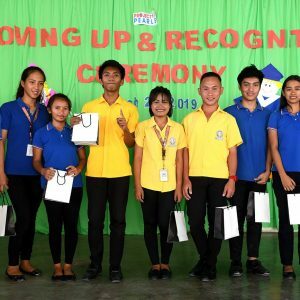 It was validating to hear LitWorld’s emphasis on joy and engagement in literacy programs echoed by several of the renowned speakers at the event. 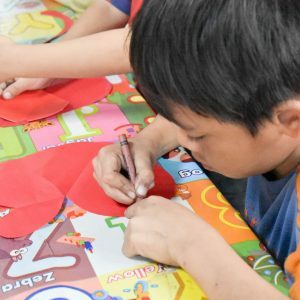 Princess Laurentien of the Netherlands implored the development community to focus not just on the practice of reading, but the joy of it as well. This sentiment was repeated in talks by Gail Gallie of Project Everyone, Stacy Mackler of Lancome, and over and over on each of the panel sessions that we attended. LitWorld can truly consider itself an innovation leader in this realm and we were approached by many individuals and organizations interested in aligning their practices with our own. In a panel focused on girls’ literacy, it was heartening to hear how motivated many individuals and organizations are to alleviate the global gender gap in terms of access to literacy. Several initiatives and campaigns were highlighted, with LitClub programs in Afghanistan receiving a huge shout out! While we applauded the great work being done and acknowledged the work still left to do, we were also reminded of the importance of bringing men and boys into the work of uplifting girls, and cautioned against making assumptions about the needs of communities based solely on gender. One panelist brought up the effects of the civil war on boys in Sierra Leone and stressed that, contrary to popular belief, they were often less likely to have access to education than their female peers. It was an important and eye-opening discussion. Our presence at the summit was beneficial for several reasons. 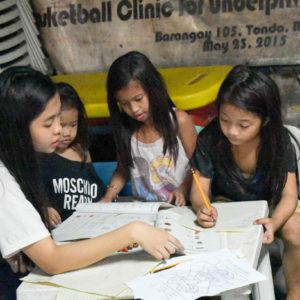 The first, of course, was the access it provided to such a breadth of organizations and institutions doing parallel work in the world of development and literacy promotion. We were able to network on an unprecedented scale with both a education focused and academic crowd. The LitWorld team meets with international friends and partners in the United Kingdom. The World Literacy Summit also enabled us to represent a younger, more diverse demographic within the international development community. We couldn’t help but notice that the majority of the attendees were significantly older than us, very few were women, and even fewer were people of color. It was empowering to be present in a space in which we have traditionally been absent. When we found ourselves front and center during several group photo ops, it was rewarding to note that the significance of our presence was not missed. 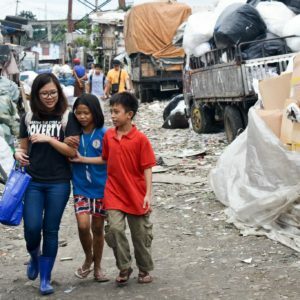 Melissa Villa, Founder and Director of Project PEARLS and winner of the first Albert Schweitzer Award for Humanitarianism. It was extremely thrilling to see the LitWorld mission, story, and 7 Strengths spread across the summit. Shamim Jawad, founder of Ayenda Foundation in Afghanistan, a LitWorld partner since 2015, was on the Girls’ and Women’s Literacy and Education for Sustainable Development panel. On stage she not only spoke about LitWorld and how transformational the LitClubs have been at her organization, but also pointed to us in the audience and listed the 7 Strengths out loud. 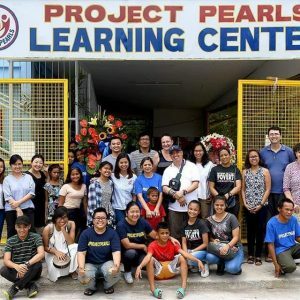 We also applauded Melissa Villa, Founder and Director of Project PEARLS in the Philippines, a LitWorld partner since 2012, when she won the first Albert Schweitzer Award for Humanitarianism. Our presentation focused on LitWorld’s unique partnership model. We promoted the development of literacy identities and best practices for activating entire communities as advocates of storytelling. We walked the audience through our robust trainings and professional development programs, and demonstrated how we build the capacity of community leaders as literacy ambassadors and advocates. We communicated our objective to empower individuals, organizations and institutions to take ownership of their own stories and see themselves as agents of change. 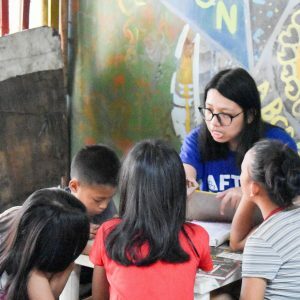 Our unique, multi-tiered approach to literacy advocacy focuses on supporting young people and helping them recognize their ability to be changemakers in their lives and in the world. Finally, we illustrated how we mobilize an international network of individuals and organizations around the shared mission of establishing literacy a fundamental human right. In doing so, we learn from each other and share in the creation of a more literate and equitable world. We hope that this is the first of many conferences where we get to highlight our innovative approach, our pedagogy, and unique programming.